After 29 days of a Blue Cove, the cove runs red again. 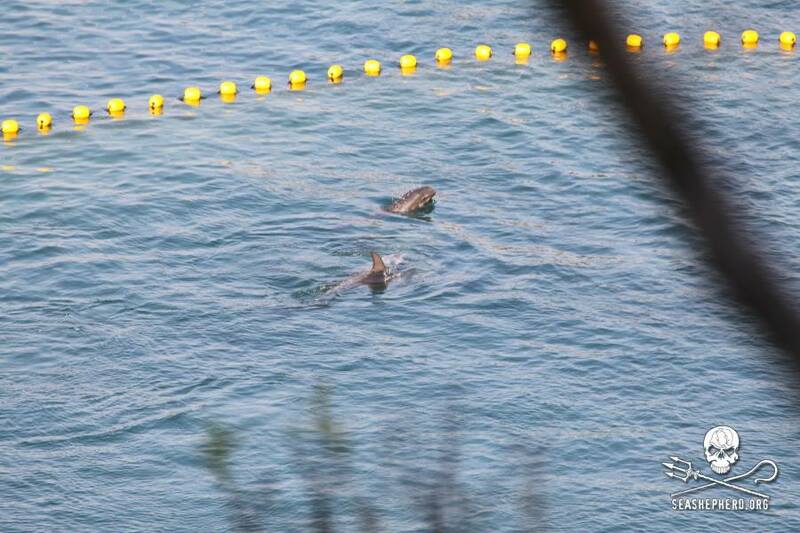 The Taiji fisherman managed to wipe out two separate pods of Risso Dolphins this week in two consecutive days. 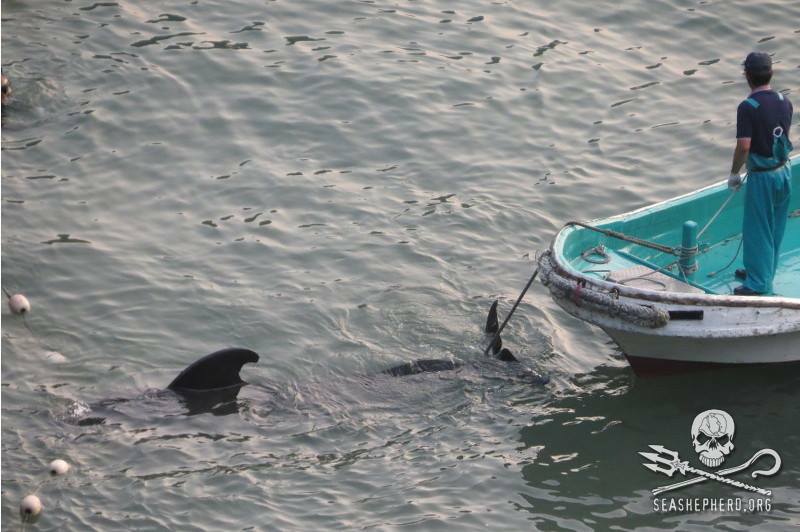 On November 8 – After a long fight of six hours, a family of 9 Risso dolphins lost their battle to the killers of Taiji, Japan. 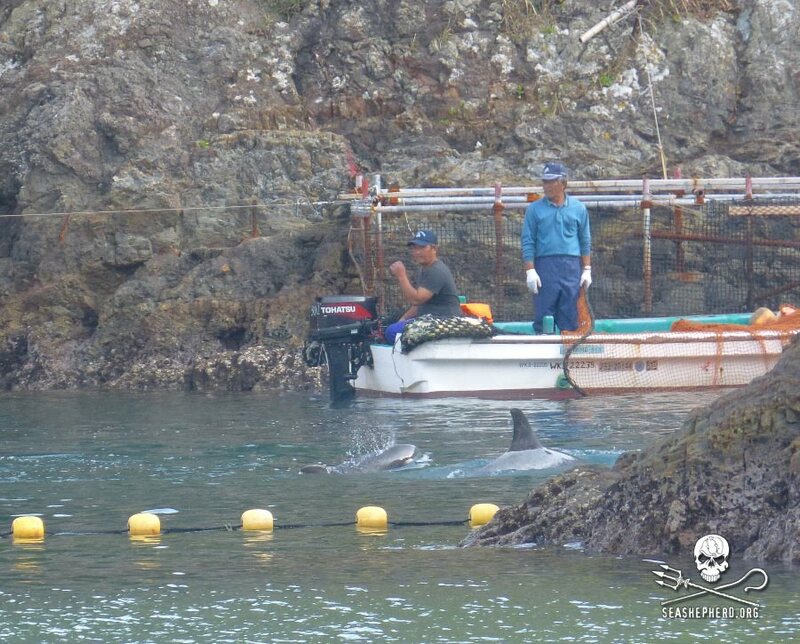 Once trapped within the confines of the cove, the hypocritical trainers as always joined the killers, who together selected 4 pod members for captivity. 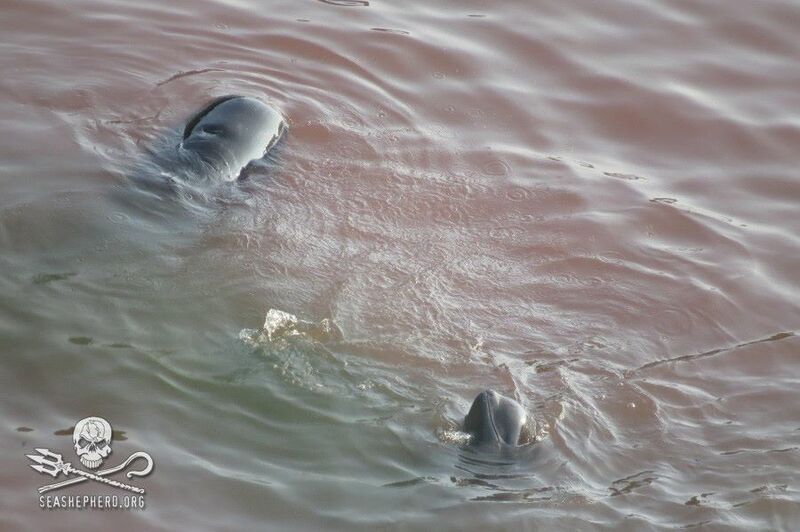 The lone baby of the pod was trapped within nets on the killing shore, and along with those who were selected for captivity, watched and listened as their remaining pod members were slaughtered in front of them. 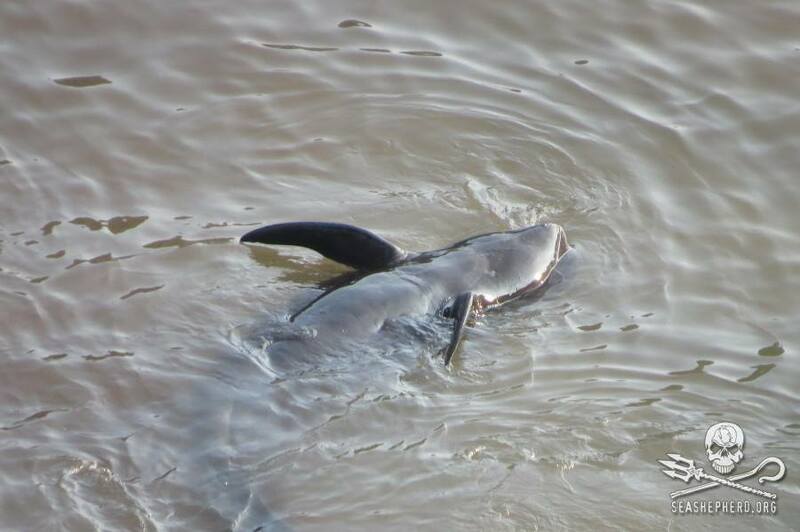 After the killing concluded, the baby was split from it’s lifeless family members and dumped alone out to sea where it will not survive. 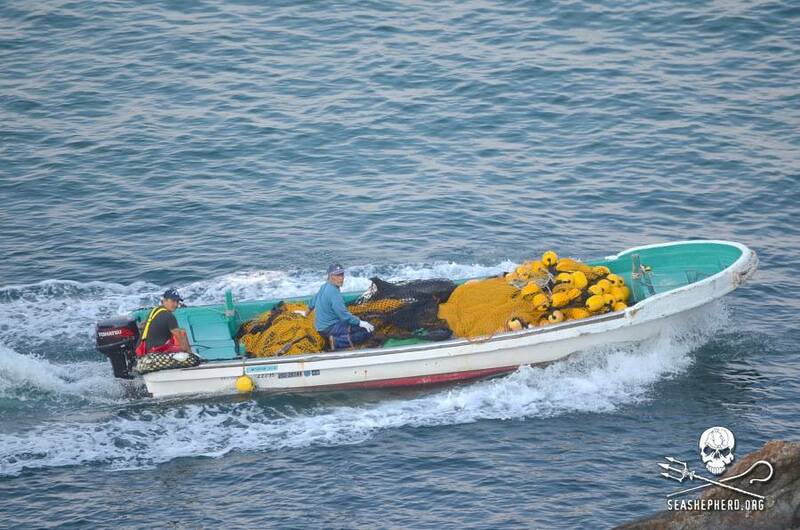 This pod becomes frantic and panics as the killers push them towards the shore of the killing cove. 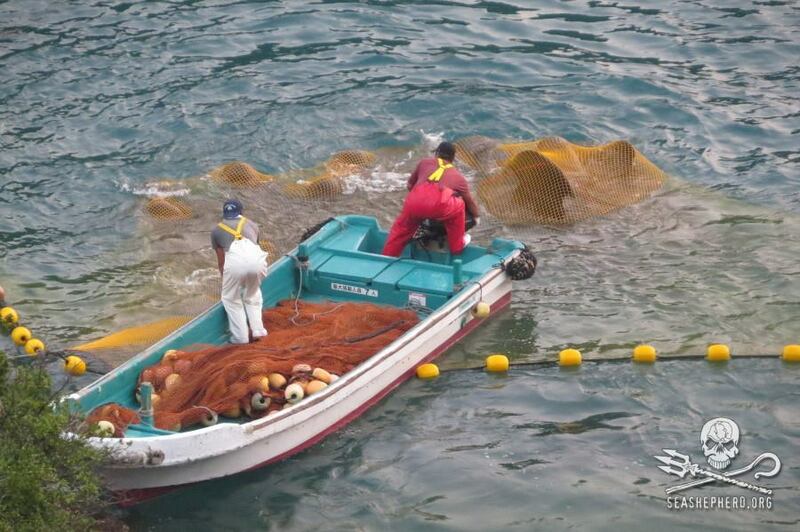 After witnessing its mother murdered, the killers tried to hide this live baby dolphin under nets as they prepared to dump back out to sea to fend for itself. 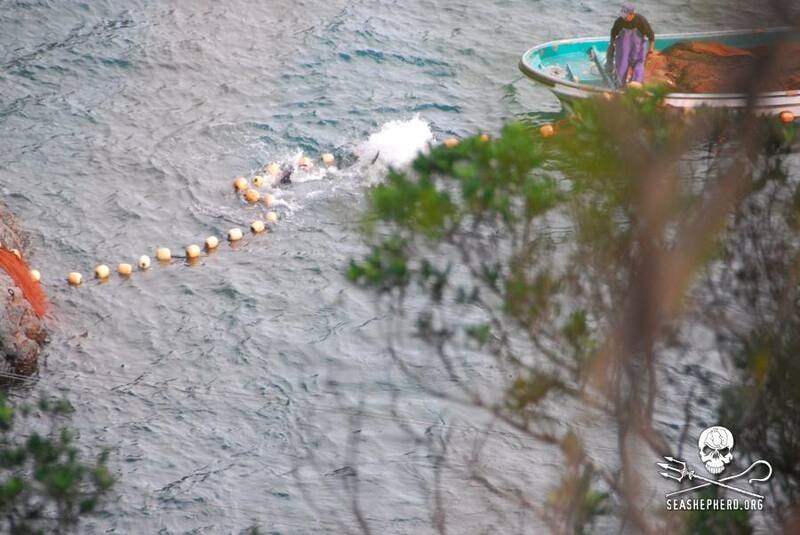 November 9 was the second consecutive day of dolphin slaughter in Taiji as the killers Taiji ripped an entire family of 11 juvenile and adult Risso dolphins from their home in the ocean. 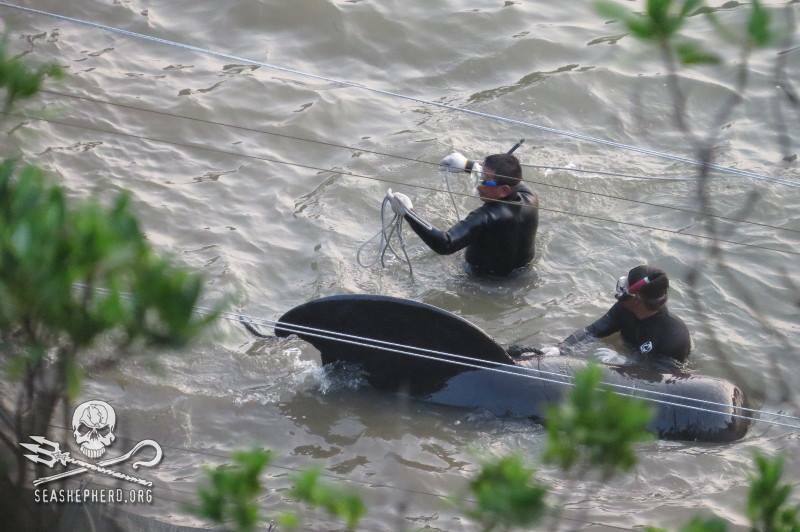 Once the pod was entrapped within the always deadly confines of the cove, killers and trainers once again worked together as they search the pod to search for their next big paycheck. 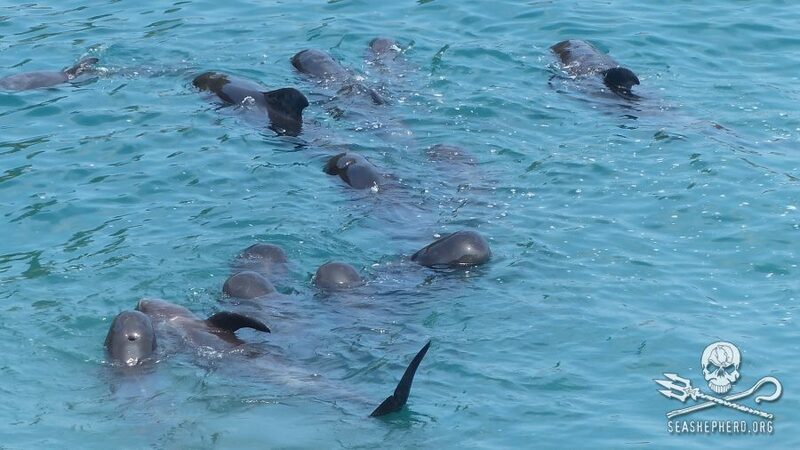 None of these Rissos, however, were deemed suitable for captivity and as a result the entire pod was slaughtered mercilessly on the killing shore. Once the slaughter was complete a skiff filled with trainers emerged from under the tarps followed by a skiff dragging dead bodies. 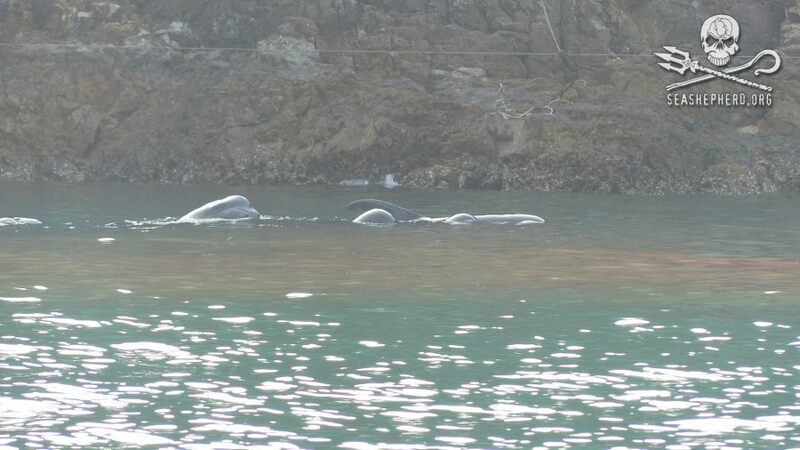 Two juvenile Risso dolphins were among this pod. 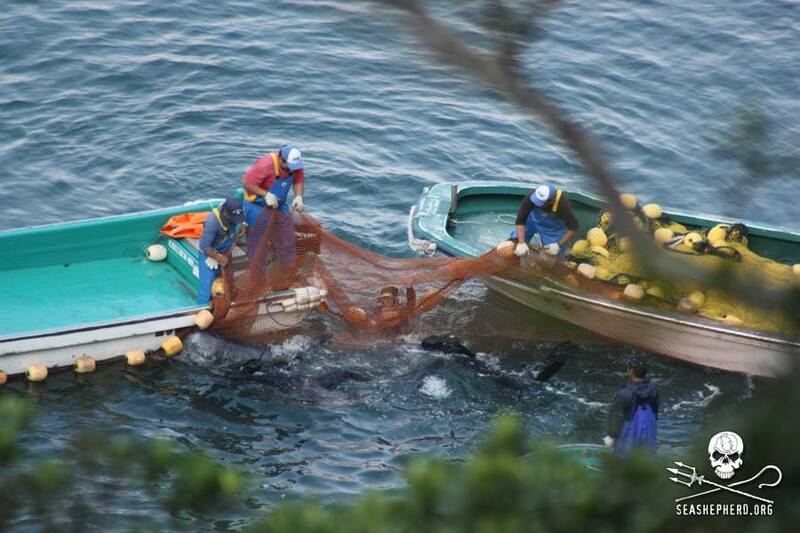 As panic begins, several dolphins tried to escape, but only to become entangled within the net. 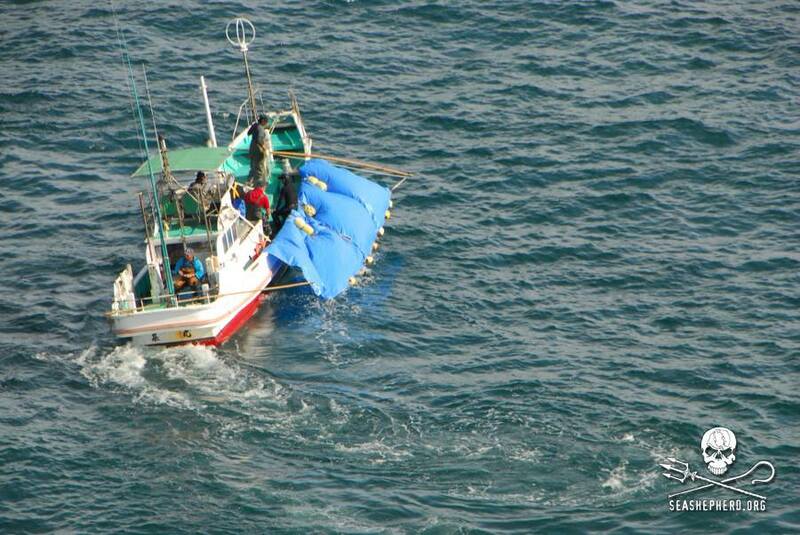 Attempting to hide the transfer of dead Risso dolphins. After the atrocities in Taiji this week, once again Call of The Cove has provided all of us with a way to help by reaching out to the media. 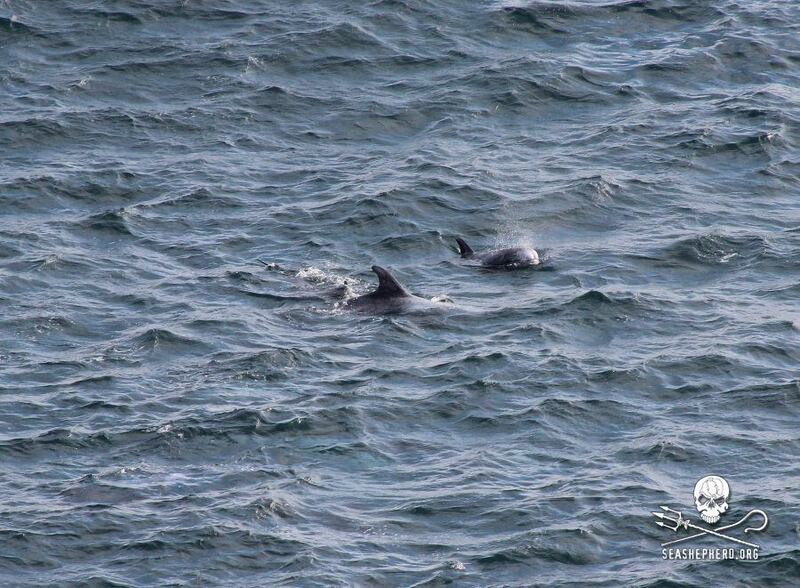 Please visit their Media Page for more information on how you can help the dolphins of Taiji. 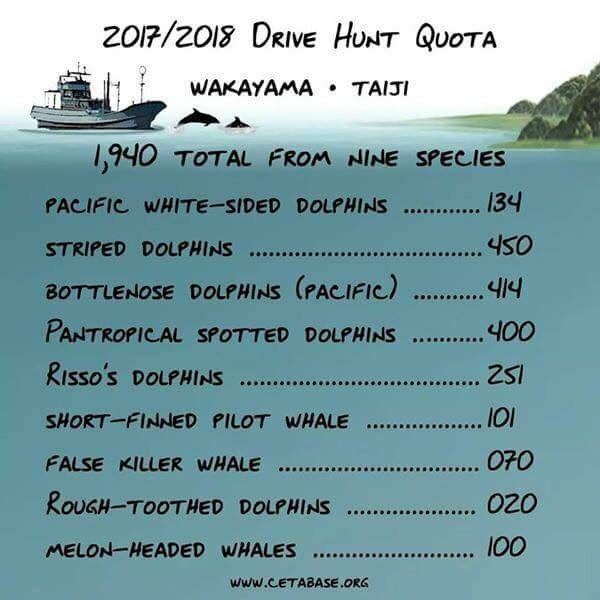 They have put together a list of 400 twitter handles for the media worldwide and provided this Letter to Journalists that you can send to journalists around the world asking them to consider covering the ongoing and needless slaughter of dolphins and whales in Taiji. 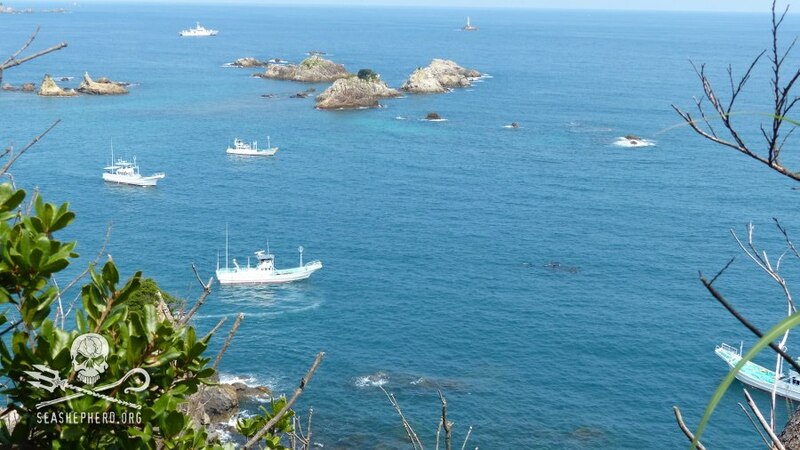 Also remember to follow the Sea Shepherd Cove Guardians in Operation Infinite Patience on Twitter and Facebook for daily updates on the current events happening in Taiji.